Smashbox has a new beauty kit called Limitless Beauty. 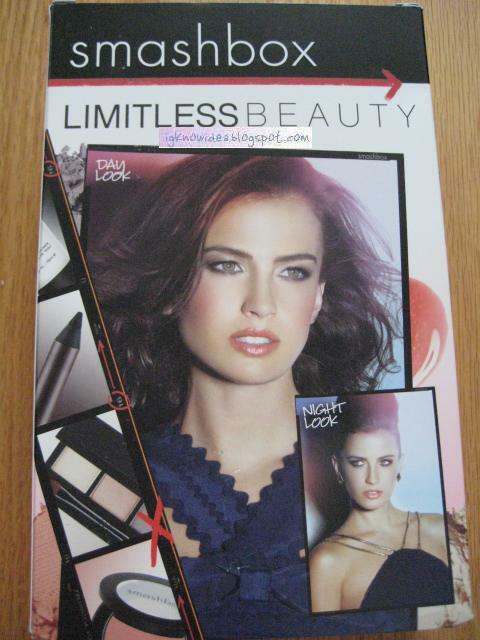 All of the products were packaged together to help you achieve a daytime look and evening look. The looks will help you achieve a soft, neutral eye during the day and a smokier eye for night. Both eye looks are achieved w/ coral lips & pink cheeks. 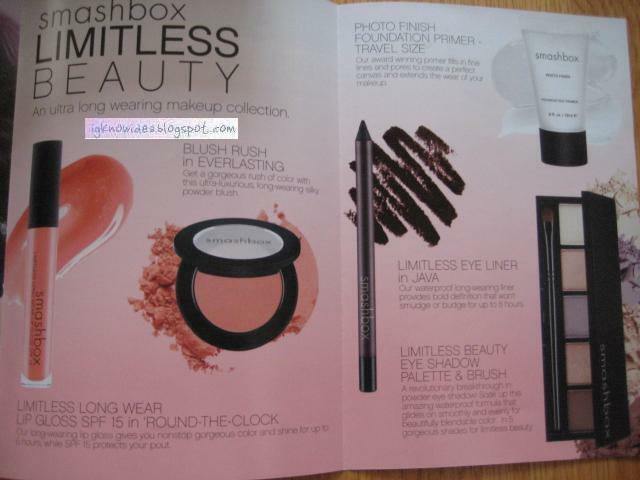 As you can see, the kit contains the essentials- except for the face makeup of course! 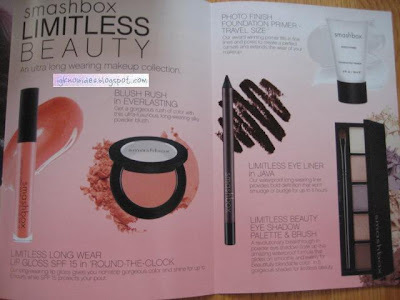 My two faves from this kit are the eye shadow palette, which contains romantic neutrals- beautiful shimmery taupes and golden highlights, and the Blush Rush cheek color! The pinky coral powder blush is so angelic! It is a bit sheer but the color is def. buildable to your taste. 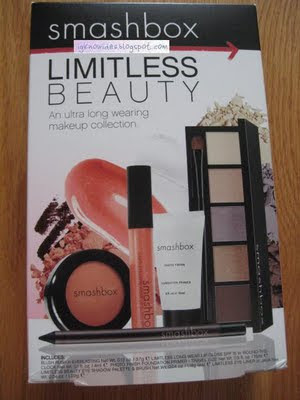 Get your kit at smashbox.com here! Love the Beauty Kit..Beautiful colors. I would love to have that. You are truely blessed.